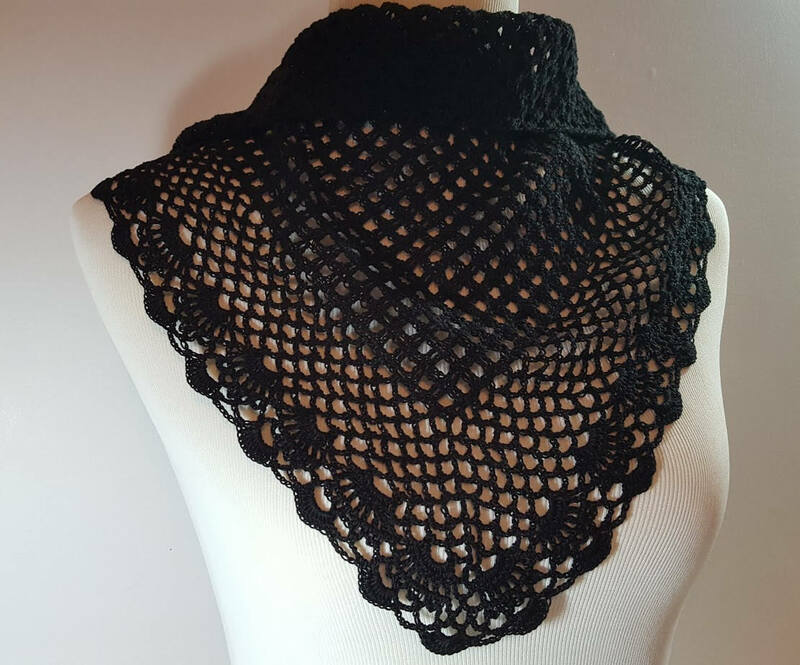 This beautiful collar can be worn with a brooch in front as a shawl collar, or with a button in back, as a jabot. 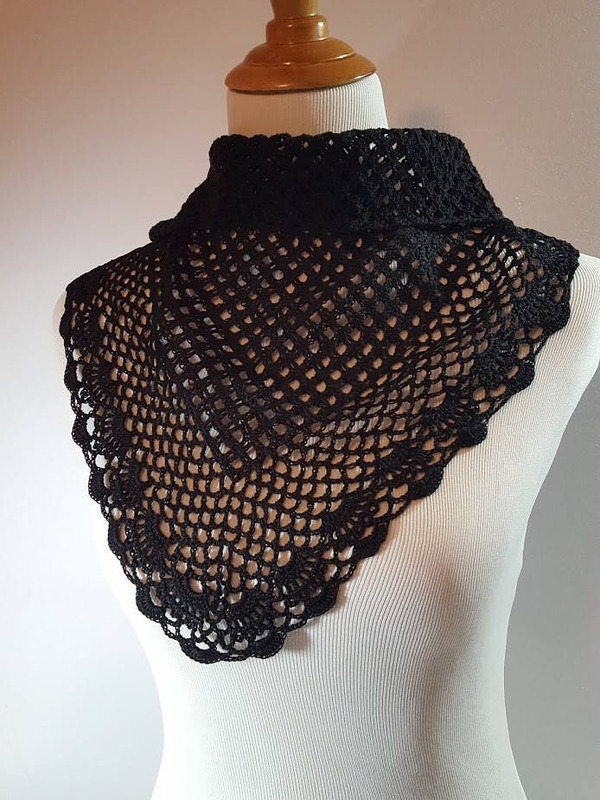 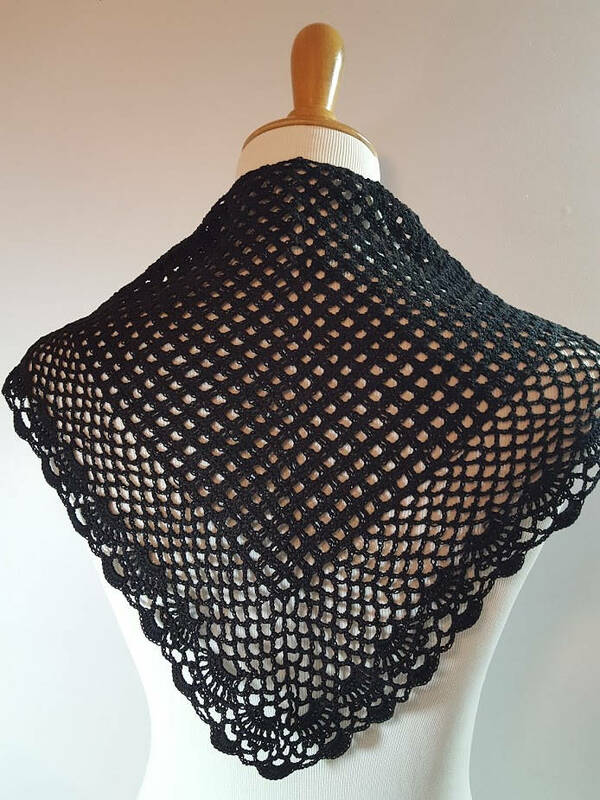 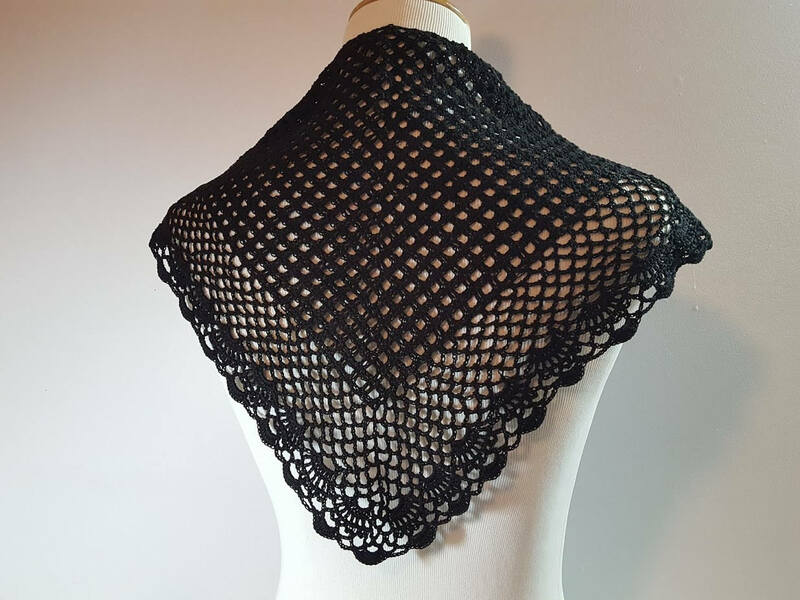 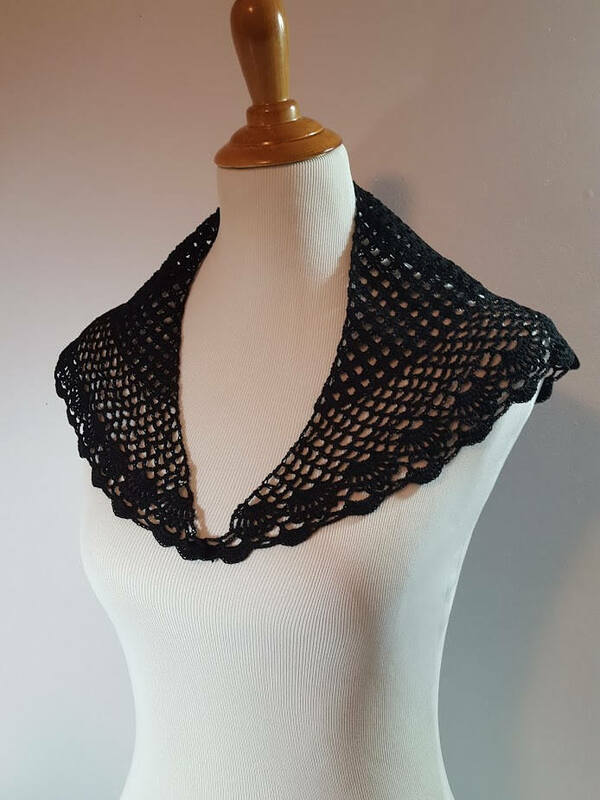 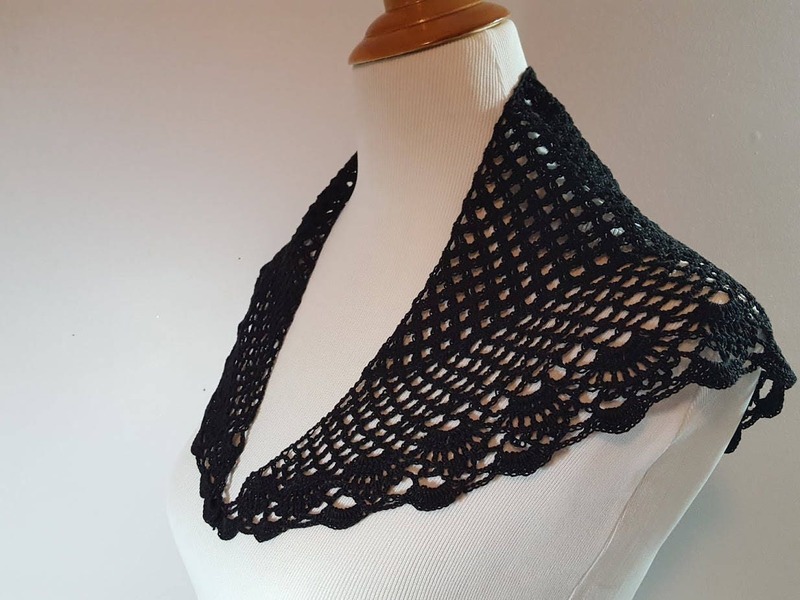 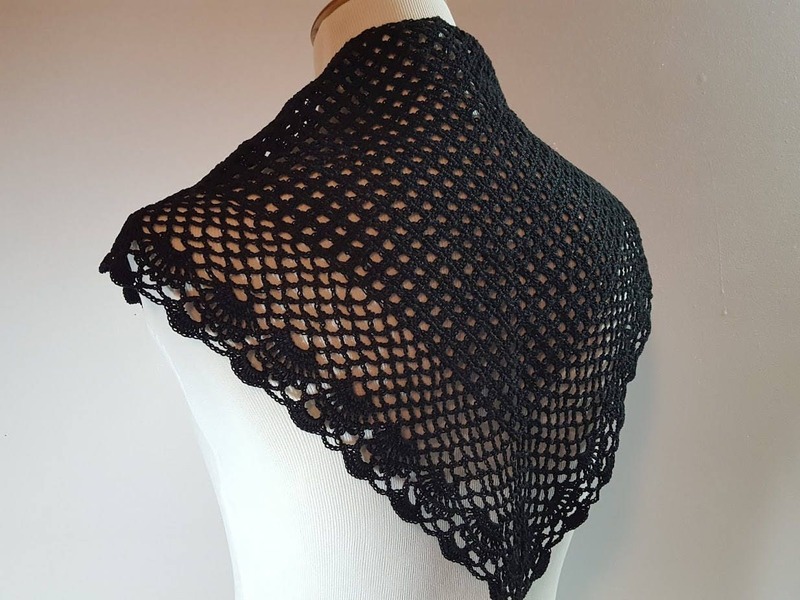 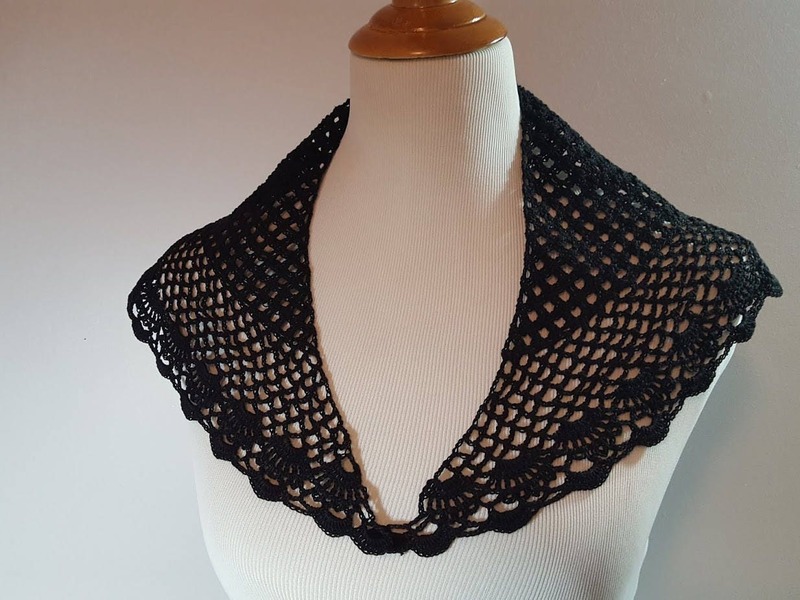 Crocheted in a striking black cotton thread, you can dress up a simple t-shirt, a silk blouse, or a plain sweater. 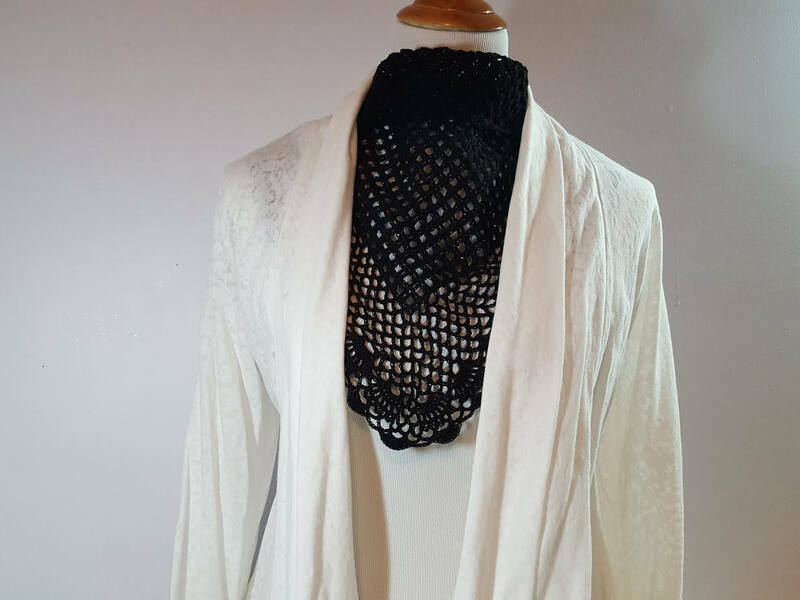 Dramatic with a white jacket, or a red blazer you can wear this year round.